Shopping is so much distributed across the media these days that I simply could not skip an opportunity to read the book Overcoming your Shopping Addiction: The Guide to Beating your Addiction to Shopping and Ending the Shopping Addiction Cycle. I am probably not addicted to shopping, but I think most of people who addicted would say same thing as I do.Looking at my cosmetics I realized that I bought so much make-up, nail polishes and skin care which are enough for few years ahead. I know that I do not need that much, but how can you resist those shiny bottles inviting you to buy them again and again. Same comes with kids clothing and toys, I used to buy them a lot, parents always think that their kids deserve the best and the latest stuff. And what about bad days, an opportunity to escape from busy and stressful life, “retail therapy” is always waiting for you to “heal” all your problems from break ups to blue mood. It is so easy to get trapped into shopping addiction and the society’s attitude to it mostly loyal. But as any addiction, shopping addiction requires the willingness to change the situation and acknowledgement of your habit. 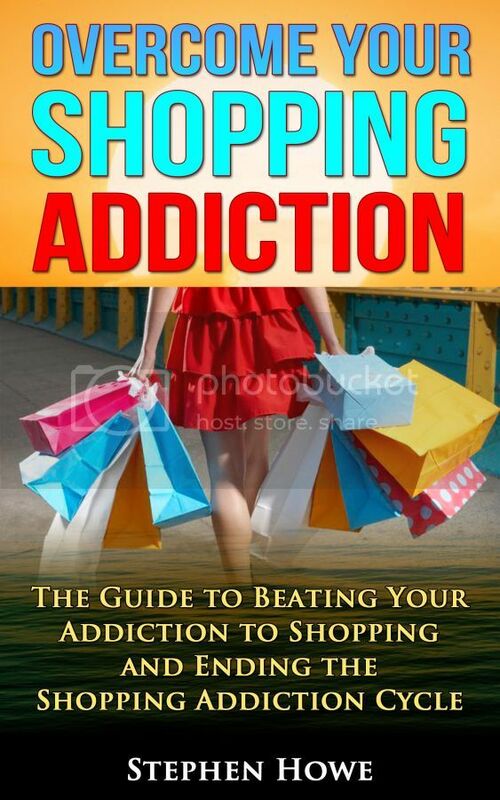 Stephen Howe's book is precise and very specific, describes the signs of shopping addiction, how to recognise and overcome it, not assuming that it leaves easily as it comes. Omniomania should be taken seriously and once you admit your problem – first move is made towards addiction free life. The book also includes the real steps can be taken to resolve the shopaholic issues. I recommend this book to anyone who wants to know more about shopping addiction and the shopping itself.